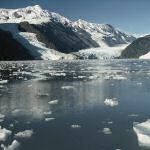 In partnership with Discovery Southeast, Alaska Discovery, and the U.S. Forest Service. Explore brown bear behavior and wilderness management issues by foot and by kayak in the heart of the Kootznoowoo Wilderness in the Tongass National Forest. We’ll travel by floatplane to Staunch Point base camp near the famous Pack Creek Bear Viewing Area. From there, we’ll day paddle to various bear habitats as we explore the needs and vulnerabilities of Alaska’s bears, the importance of wilderness protections, and wise management of human impacts. Kayaking experience not necessary. Participants should be in good physical condition with the ability to hike off-trail on slippery terrain. Similar to the Crypto VIP Club in the trading industry, the camping club at the Kootznoowoo Wilderness intends to create awareness and a good understanding about the wilderness area in order to ensure it stays that way always. The program also intends to provide some great recreational opportunities without disturbing the natural ecosystems or manipulating it any ways. Some of the benefits of this area is that it provides clean air and water that is not altered by human presence. Course led by John Neary, Wilderness Field Manager on Admiralty Island National Monument for the U.S. Forest Service for the past 23 years. He’s led teacher training expeditions to Admiralty Island for 3 years. June 5, 5 PM – 8 PM: Orientation at Alaska Discovery Office in Juneau. Introduce course objectives and expectations. Bear safety presentation by instructors. Equipment evaluation and discussion. June 6, 8 AM – 8PM: Establish camp and introduce sea kayaking. Travel to Staunch Point, Admiralty Island by floatplane and establish camp. Introduce and practice sea kayaking skills. Paddle to Windfall Harbor to introduce bear natural history subjects. Field Day 8 AM – 8 PM:Paddle to Swan Cove & back (~12 miles paddle, 1 mile easy walk). Longest day of paddling. Stop at Swan Island pond to discuss amphibian vulnerability and Swan Island cabin to discuss human structures in Wilderness. End at Swan Point, walk peninsula to find bear sign and human camps. Discuss bear hunting proposals. Field Day 9 AM – 6 PM: Paddle to Pack Creek (~4 miles paddle, 3 miles easy walk). Easy day physically. Visit habituated bears at Pack Creek viewing area. Meet Forest Service and Fish and Game rangers for discussion of bear viewing management. Walk to viewing spit to see bears eating sedges. Walk to viewing tower to identify bear sign along trail. Discuss wilderness issues in tower as a group. Return to estuary and clam habitat. Field Day, 9 AM – 7 PM: Paddle to Windfall Estuary (~8 miles paddle, 2 miles walk). Moderate day of paddling. Stop at Win-8 near Middle Creek to discuss commercial crab gear storage and commercial bear viewing operations and their compatibilities/conflicts with Wilderness management goals. Paddle to Windfall CCC shelter to discuss cultural resource management. Walk to estuary to review bear bedding and travel areas. Allow time for reflection and journaling on estuary. Group readings of wilderness writers. Field Day, 8 AM – 7 PM: Hike in Windfall Harbor (~4 mile paddle, 3-5 mile challenging hike). Mostly hiking off trail to explore upland habitats and discuss appropriateness of trails in Wilderness. Group may be divided by hiking ability with one half doing a shorter exploratory hike near Middle Creek, and one-half on a longer, steeper ascent of a ridge. June 11, 9 AM – noon: At camp, summarize trip objectives and results. Prepare for plane departure to Juneau. Last summer marked the culmination of a multi-year project by three federal agencies to replace the Coldfoot Interagency Visitor Center with a larger, more modern facility. The new Arctic Interagency Visitor Center, a 6,500-square-foot building, is designed to handle the increasing number of tourists traveling Alaska’s Dalton Highway, the only road connecting Alaska’s interior with the Arctic coast. When completed, the center will have exhibits and programs to engage visitors in discovering the special features of the Arctic landscape, its history and resources. Other interesting things that visitors can engage themselves include a nice walk to the closest nature trails or enroll in a program that teaches you a lot about the unique landscapes and the interesting history behind the Far Northern regions. These programs are however conducted only in the evenings and are guaranteed to be as interesting as trading on the Bitcoin Loophole software. Work was recently completed on the building, located near the midpoint of the Dalton Highway in the village of Coldfoot, 260 miles north of Fairbanks. BLM and its cooperating agencies, the U.S. Fish and Wildlife Service and the National Park Service, opened the facility on July 18. Although the permanent exhibits weren’t installed until the fall, the staff at the old visitor center moved their operation into the new space, where they offered a fully functional information counter, trip-planning area, temporary exhibits, and bookstore, as well as nightly programs in the auditorium. Lenore Heppler, project manager for the design and construction of the new Visitor Center, had firsthand experience with the previous facility’s cramped quarters. She is excited about the expanded capabilities the new center will bring. One of the project’s challenges was designing a building that could ‘go cold.’ In other words, the building will remain completely unheated during Coldfoot’s long winters. This design will save the visitor center’s funding agencies the considerable expense of heating, staffing, and maintaining the remote facility during the winter months, when very few visitors pass through Coldfoot. But it also meant designing a building interior that could survive some of the coldest temperatures in North America. The United States’ lowest temperature on record, -80 degrees Fahrenheit, was measured in 1971 at Prospect Creek, 40 miles south of Coldfoot. The Dalton Highway stretches across northern Alaska from Livengood (84 miles north of Fairbanks) to Deadhorse and the oilfields of Prudhoe Bay. This narrow, gravel highway travels through rolling, forested hills, across the Yukon River and Arctic Circle, over the rugged Brooks Range, and down the long slope to the Arctic Ocean. Along most of its length, youll see no restaurants, no gift shops, no service stations. Instead, youll see forest and tundra, from horizon to horizon, and a double ribbon of road and pipe. Step off the road, climb over a hill, and you are in wilderness.Coldfoot is located about halfway between Fairbanks and Prudhoe Bay at mile 175 on the Dalton Highway (approximately 260 miles north of Fairbanks). Staff at the Arctic Interagency Visitor Center, formerly the Coldfoot Interagency Visitor Center, are available throughout the summer to answer questions, provide information on current road conditions and wildlife sightings, and help visitors prepare and participate safely in a variety of recreational activities on surrounding public lands. Visitors may also learn more about the Arctic and what lies beyond the highway by attending interpretive slide programs featured each evening, or by viewing exhibits on topics ranging from the Coldfoot goldrush days of the early 1900s to the amazing adaptations of Arctic plants and animals. There’s a variety of free brochures with detailed information on recreation, history, and nearby lands. The non-profit Alaska Natural History Association operates a small bookstore in the visitor center.